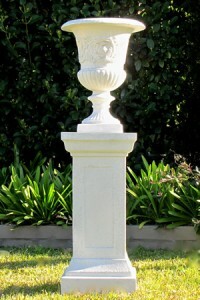 Use this lovely pedestal on its own to display a floral arrangement, or may be combined with our patterned fibreglass urn. 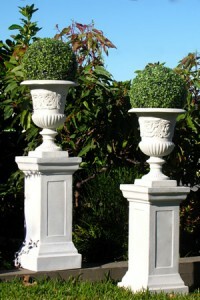 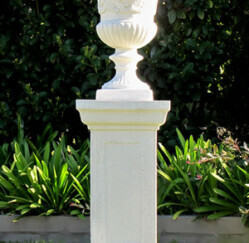 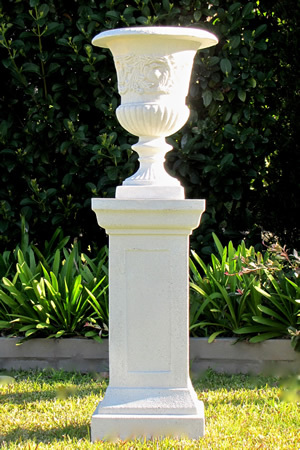 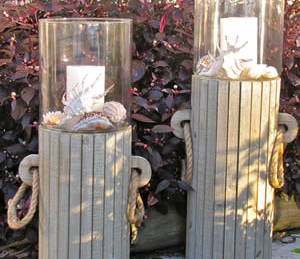 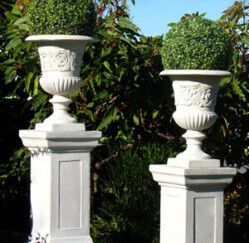 The pedestal alone stands 70 cm high, and has a height of 1.2m when combined with our urn, making it ideal for either side of an entrance area. 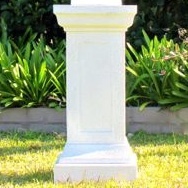 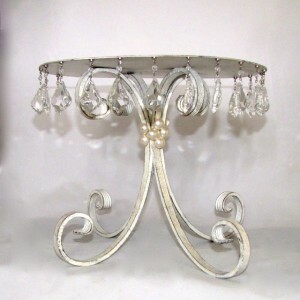 Large Pedestal Stand 32cm x 32cm x 70cm h.